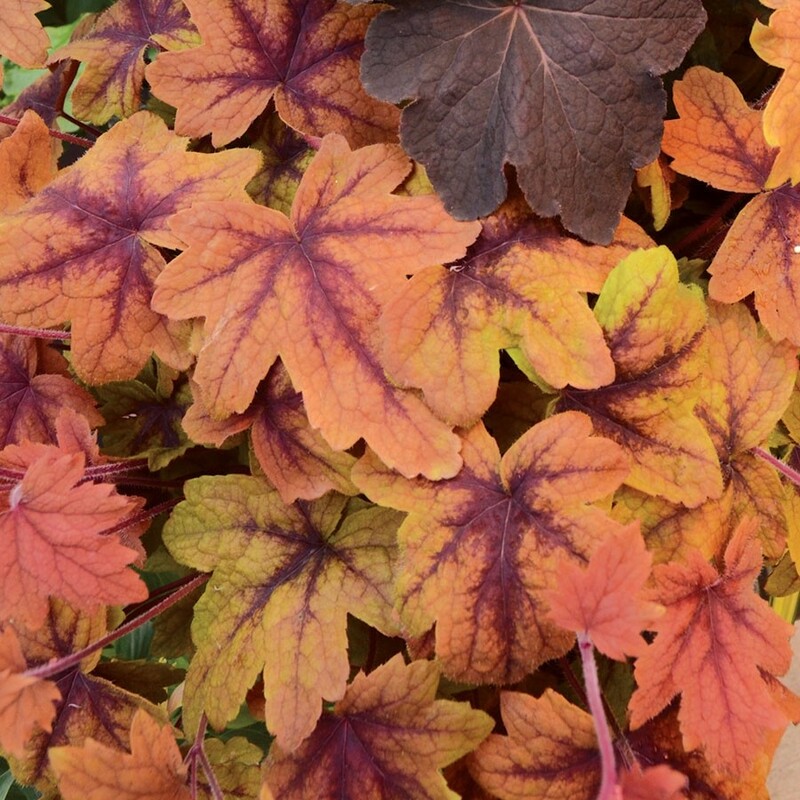 Heuchera 'Sweet Tea' is a hybrid between a Heuchera and Tiarella, with foliage that consists of large cinnamon stars surrounded by a lovely orange-tea coloured border. 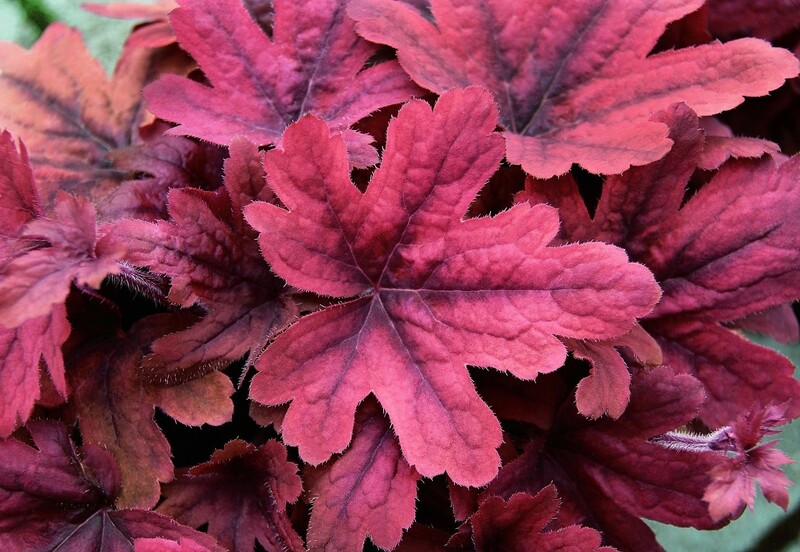 Perfect for containers or the garden, it is one of the most intensely coloured Heucherella ever, in summer foamy starry white flowers add to it's beauty. 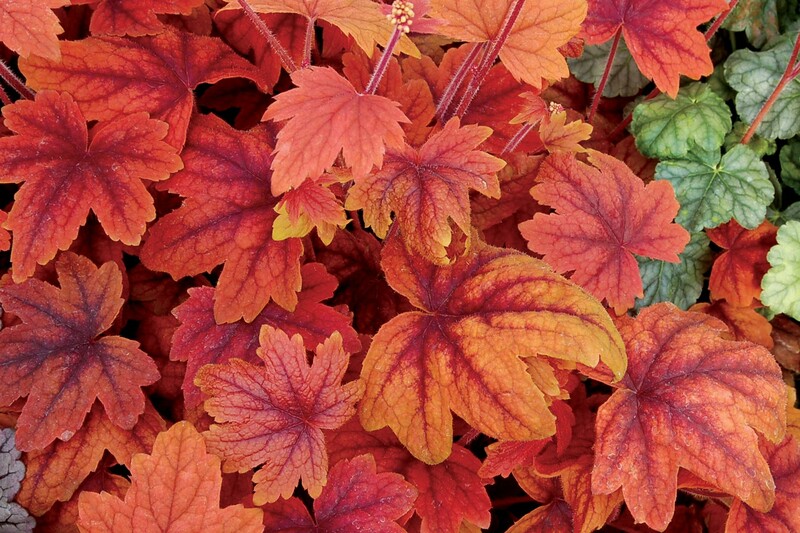 The big, cut leaves darken in the summer and lighten up again in the autumn, with the best colour after the morning sun and afternoon shade. 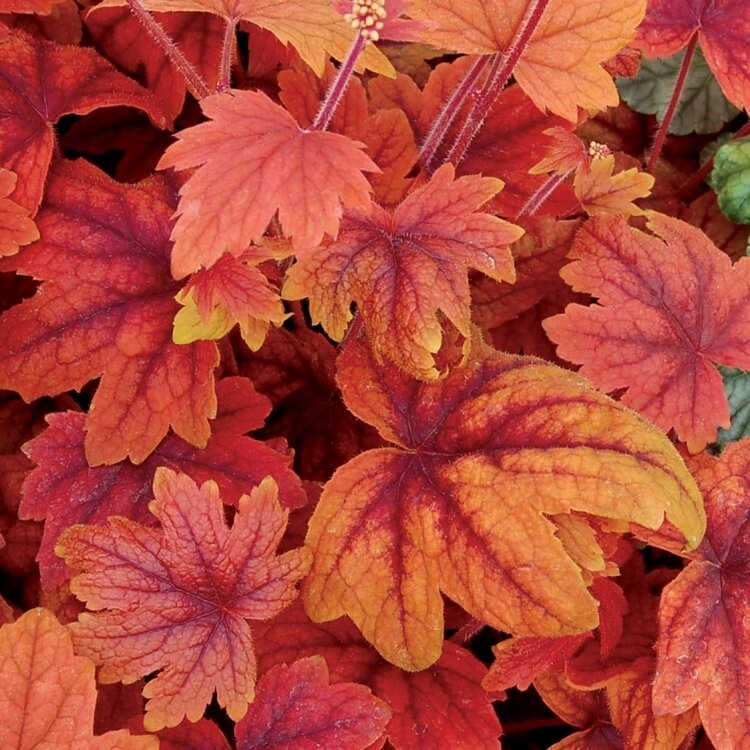 Lovely in a partially shady border, used en-masse for groundcover, it is also brilliant in hanging baskets and other containers. Supplied in approx 1 litre containers.